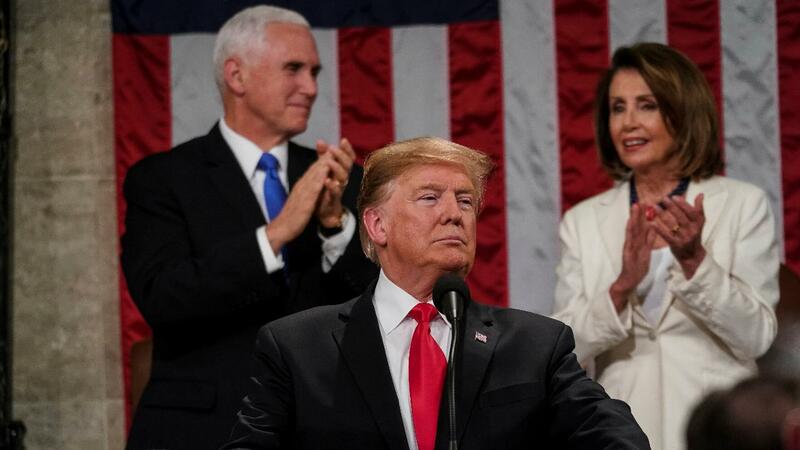 During President Donald Trump’s State of the Union address on Tuesday night, he vowed to eradicate HIV and AIDs once and for all by 2030. “In recent years we have made remarkable progress in the fight against HIV and AIDS. Scientific breakthroughs have brought a once-distant dream within reach. My budget will ask Democrats and Republicans to make the needed commitment to eliminate the HIV epidemic in the United States within 10 years. Together, we will defeat AIDS in America,” Trump said. On Wednesday, following the announcement, the U.S. Department of Health & Human Services (HHS) released its multi-year initiative that will now narrow in on 48 of the highest burden counties and seven key rural states where HIV cases are skyrocketing. According to the report, rural states including South Carolina, Kentucky, Missouri, Arkansas, Oklahoma, Mississippi and Missouri have been the hardest hit with more than 50 percent of new HIV diagnoses have occurred between 2016 and 2017. During a call with reporters on Wednesday, HHS announced it has teamed up top doctors at the Centers for Disease Control and Prevention (CDC), the National Institute of Allergy and Infectious Diseases (NIAID) and Indian Health Service to execute the new initiative of reducing new HIV infections by 90 percent in 10 years. Anthony S. Fauci, M.D. and director of NIAID, said this is the first time all leading health organizations have teamed up to tackle the issue. HHS said while it has a full plan of action lined up to meet its goal, it is not ready to share the budget efforts needed to tackle it. “We have submitted the plan and the budget and we are very confident that we will have the resources needed for us in the 2020 budget for us to begin this very aggressive plan,” HHS said Wednesday. Here’s a look at HHS’ aggressive plan to end HIV. A boots-on-the-ground workforce of culturally competent and committed public health professionals that will carry out HIV elimination efforts in HIV hot spots. Implement programs to increase adherence to HIV medication, help people get back into HIV medical care and research innovative products that will make it easier for patients to access HIV medication. Implement routine testing during key healthcare encounters and increase access to and options for HIV testing. Implement extensive provider training, patient awareness and efforts to expand access to PrEP. Ensure that states and communities have the technological and personnel resources to investigate all related HIV cases to stop chains of transmission.